The one you have in your link matches the one in the Q&A from about half way down the reviews. You should be good to go. That was my question posted to the Expert. I was hoping to find someone who has hooked this grill to a portable tank. I believe there are conflicting answers in that QA section. The Camco hose has a regulator inline. My contact at Meco, the manufacturer of the Aussie Portable Gas Grill # 277-000091, advised that this unit is intended for direct connection to a high-pressure propane tank." I do not have a pre-plumed connection like the Extend A Stay on my Rv but I've researched and they hook directly to onboard tank before the regulator and then grill would hook into female quick connect with and extension hose. The grill you referenced (and all others) with a QD connector & hose is designed to operate from low pressure (after the onboard regulator) as they do not have a integral regulator of their own. The hose/regulator combo you linked to will allow you to connect the grill directly to the high pressure from a 20# portable tank as you would like to do. I have an aussie grill and switched it to run off a 20lb tank. Wasn't hard. I just removed the connector for the little 1lb tank and took it to the hardware store with me, and I got a hose that screwed in there and had a 20lb tank connector on the other end. I think it cost like $15. Mine is a little bigger, but I would assume it would work the same. 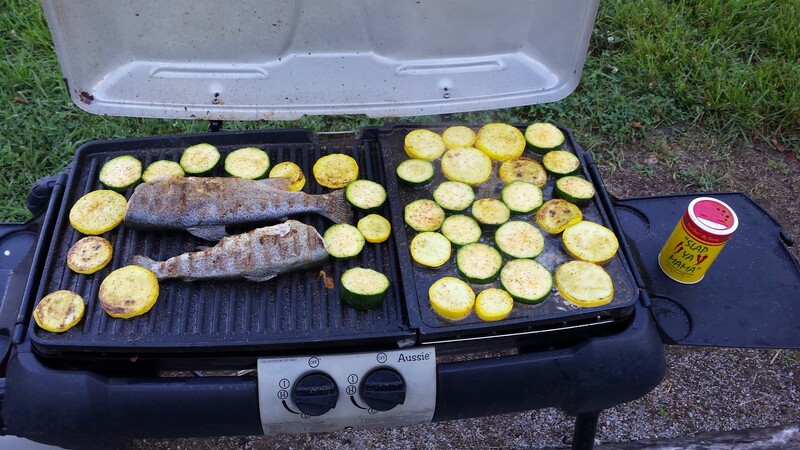 If the grill you have was originally designed to run off 1# bottles it already has a onboard regulator. The grill the OP has does not have a onboard regulator. Converting it is a completely different scenario. Received the Camco hose today. Worked fine. Thanks for replying. Bought mine from the RV dealer, they just got them in, I was the first one. Do I understand that the onboard regulator is sufficient to connect the grill directly to the camper QD or will I need secondary regulator? Only one regulator can be used. If the grill you are referring to is a low pressure unit (typically will have a quick disconnect male fitting) then yes your on board regulator will be sufficient.